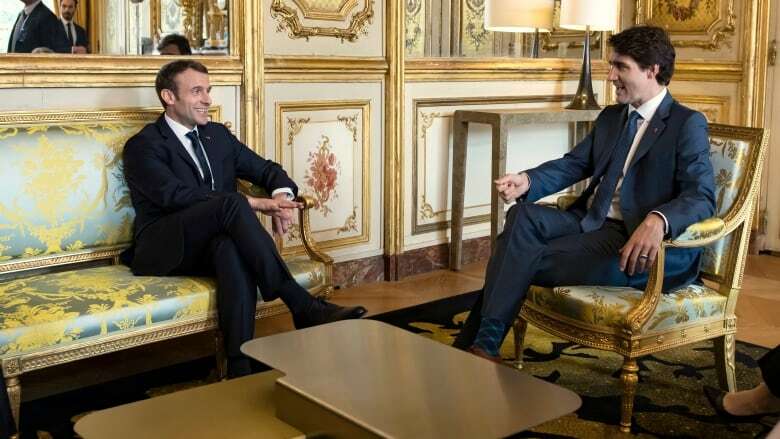 French President Emmanuel Macron met with Prime Minister Justin Trudeau in Paris today, where the pair agreed to a new partnership to tackle climate change. Environment and Climate Change Minister Catherine McKenna was on hand to sign the new France-Canada partnership on climate and environment in a ceremony at the French presidential palace during the first day of Trudeau's official visit to Paris. "France and Canada today pledge to redouble their efforts and increase their co-operation," Trudeau said in French during a news conference with Macron following the ceremony. "This initiative will encourage and accelerate the achievement of the Paris Agreement targets through concrete measures to make this agreement in principle a reality." The France-Canada partnership, which includes pushing for a global price on carbon and reductions to transport-related emissions, also falls squarely in line with Trudeau's government priorities for the G7 in Quebec this June. At one point during Monday's news conference, Trudeau found himself defending the trade deal, noting there aren't many other countries that are better suited to a free trade deal with Europe than Canada. "Whether its environmental protection or freedom of expression or other things, Canada and France are well aligned. Canada and Europe are well aligned," the prime minister said in French. "And CETA is a progressive trade agreement that truly reflects those protected values and represents a new standard for all future trade agreements." Trudeau and Macron also marked the establishment of a new cultural agreement, this one signed by Heritage Minister Melanie Joly, that included promoting the French language in "the digital space" and affirming the two countries' support for net neutrality. While climate and trade were at the top of the agenda for Trudeau's meeting with Macron, also top of mind was the West African nation of Mali, where France is leading a counter-terror mission and Canada is sending peacekeepers. "Canada made the decision to participate in Minusma with the addition of helicopters and support personnel," Macron said, using the official name for the UN peacekeeping mission in Mali. "And as you know today we are very, very connected to Minusma and I think this is a very important gesture that has been made by Canada, and we very much appreciate it." 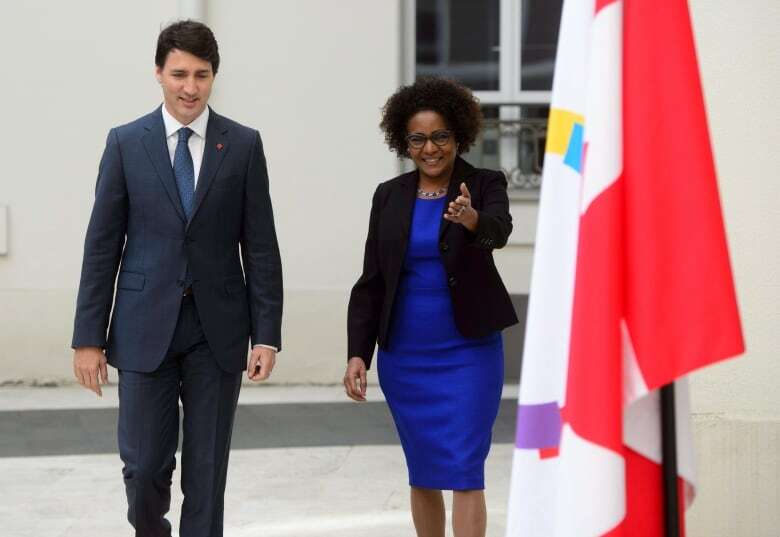 Trudeau wraps up his visit to France on Tuesday by becoming the first Canadian prime minister to address the French National Assembly, after which he'll fly to London to meet British counterpart Theresa May and the Queen.